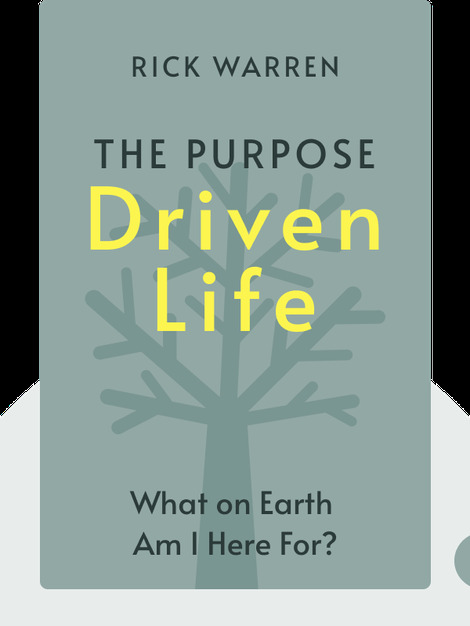 The Purpose Driven Life (2002) shares the Christian answer to that age-old question: why am I here? From finding moments of worship in daily routines to seeking out a supportive community and letting the Holy Spirit guide you through tough situations, these blinks are an engaging guide to life as a Christian today. 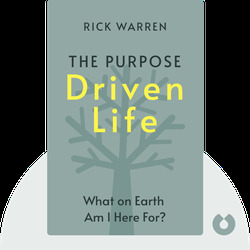 Rick Warren has lectured at Harvard, Cambridge and Oxford. He is the founder of the global P.E.A.C.E. plan, which supports the poor and provides education as well as many other resources in 196 countries.